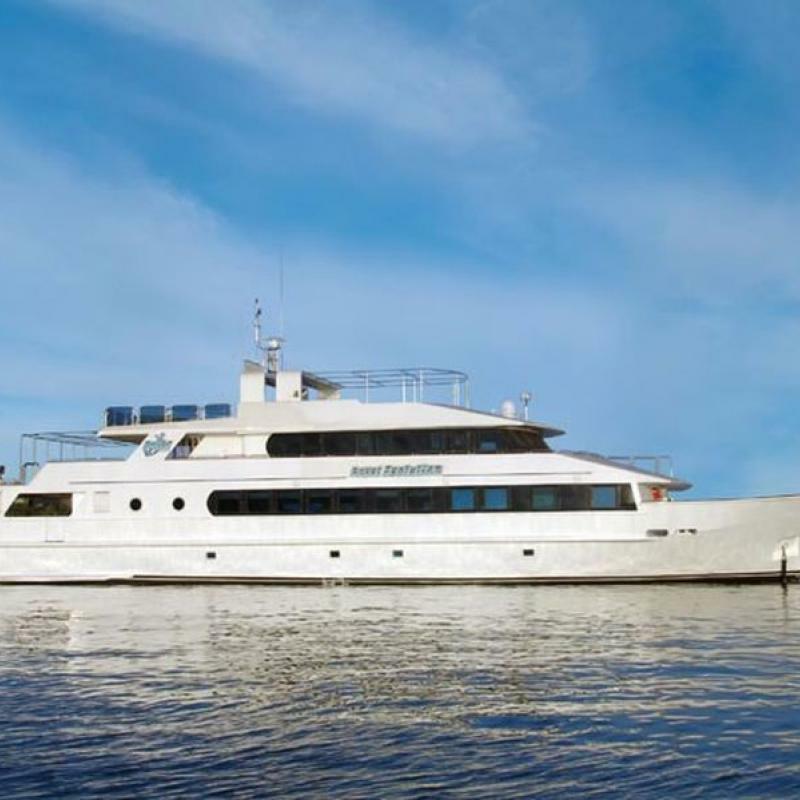 Elegante is a dive schooner with italian management, completely renovated in summer 2009, it was designed to offer the maximum safety and comfort during navigation. Measuring 25m long and 6.5m wide, it is powered with an engine Fiat Iveco AIFO 260 HP Diesel and cruises at 10 knots per hour. There is a large comfortable salon with restaurant and bar area, there has everything you will need for entertainment, such as TV, DVDs, HiFi equipment, VCR, books and games. There is also air conditioning throughout the boat. Elegante also has a very large teak wood deck, the front of which is normally used for dressing for diving and the back as the outdoor restaurant area, relaxation and sunbathing areas. 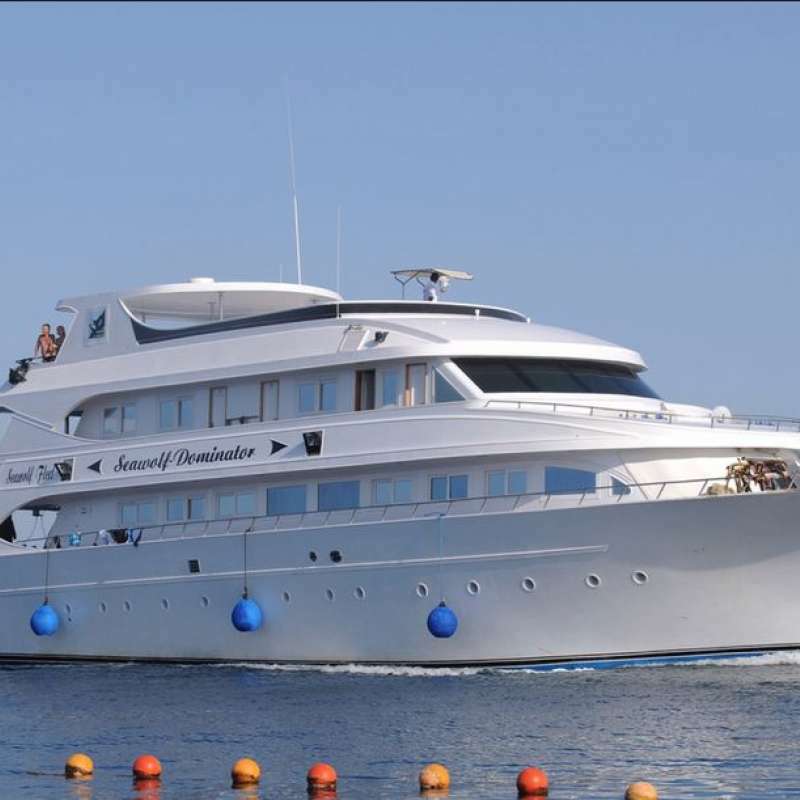 Elegante has experienced Italian management and staff, the crew will ensure you a high standard comfortable cruise. 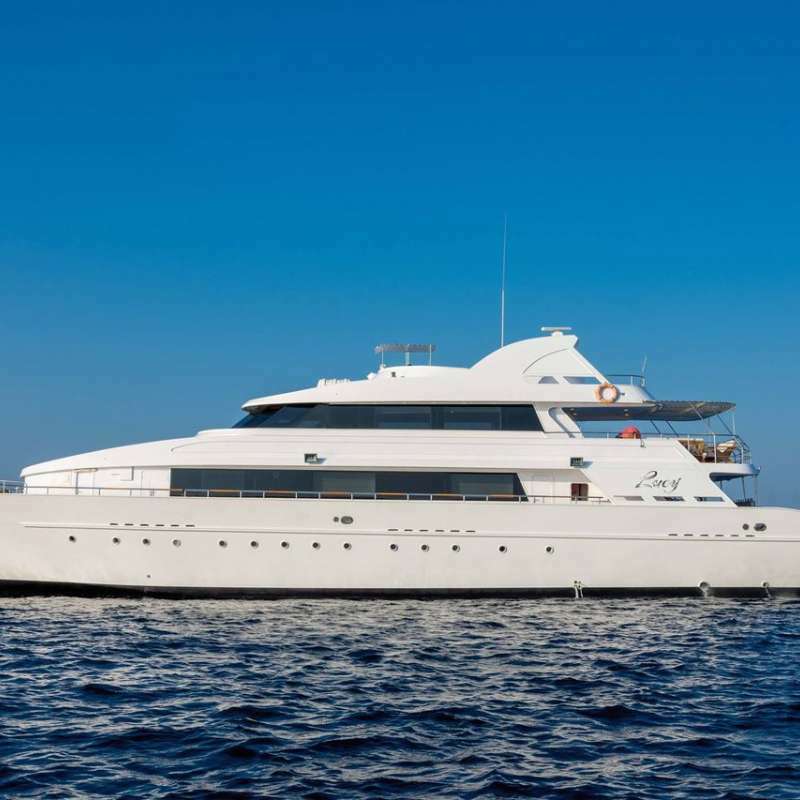 The staff consists of an Italian skipper and a crew of four people, including the chef. On board are also always present a dive instructor and a dive master, so it is possible to achieve “Open Water” or “Advanced” courses. All cabins equipped with individual air-conditioning, private bathroom, and storage area. Located on the lower deck, each cabin comes with a double bed, a mini fridge and stereo HI-FI diffusers, portholes. Located on the lower deck, each cabin comes with a double bed and portholes. Located on the lower deck, each cabin comes with a double bed and single bunk bed, portholes. 16 dives per week, includes 2 night dives. Payment on board：By cash (USD/EUR) only. We organise diving safari for 8D/7N, 12D/11N or more weeks, with different itineraries. During the trip will be possible to dive in the amazing diving spots, It is also possible to visit a fabulous islands like The Snake's island , Mesharifa where is possible to make birdwatching. For to reach the diving sites we always use a rubber dinghy which will be moored close to the diving point until the emergence of the divers. 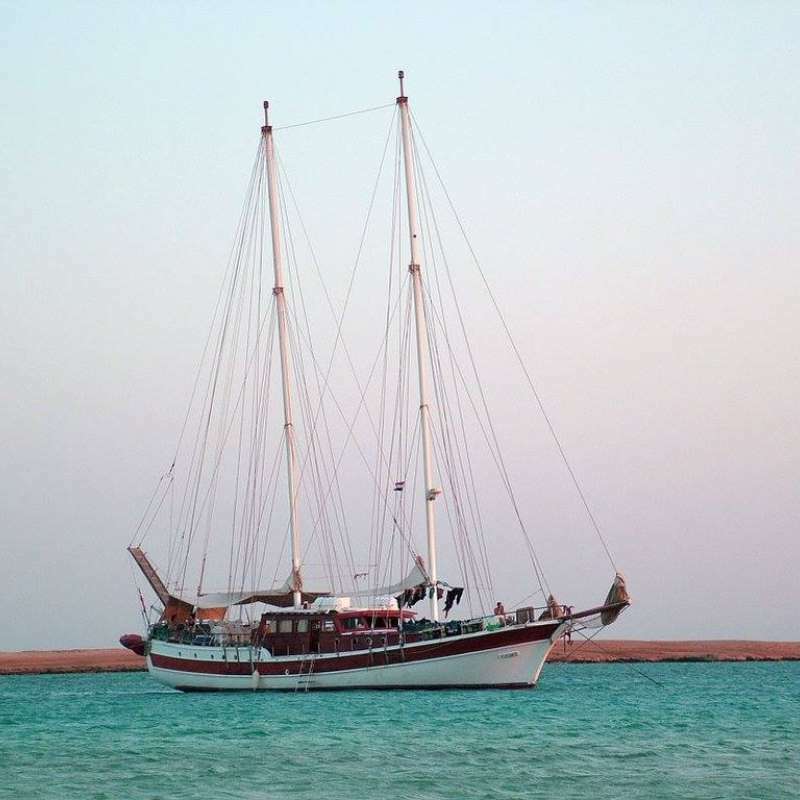 It’s an itinerary requested for its famous diving sites absolutely unique, you can visit what we consider the historical sites in Sudan, perfect for those who visit the Sudanese Red Sea for the first time given the relative proximity to Port Sudan and comfortable anchorage points. You will have the opportunity to see the fabled shark point of Shab Rumi and Sanganeb , the famous " laboratory submerged " Cousteau Precontinente II and the legendary wreck of Umbria, Wingate reef-Umbria wreck, Sanganeb reef (North and South) and Sha’ab rumi reef (North, South and precontinente 2). 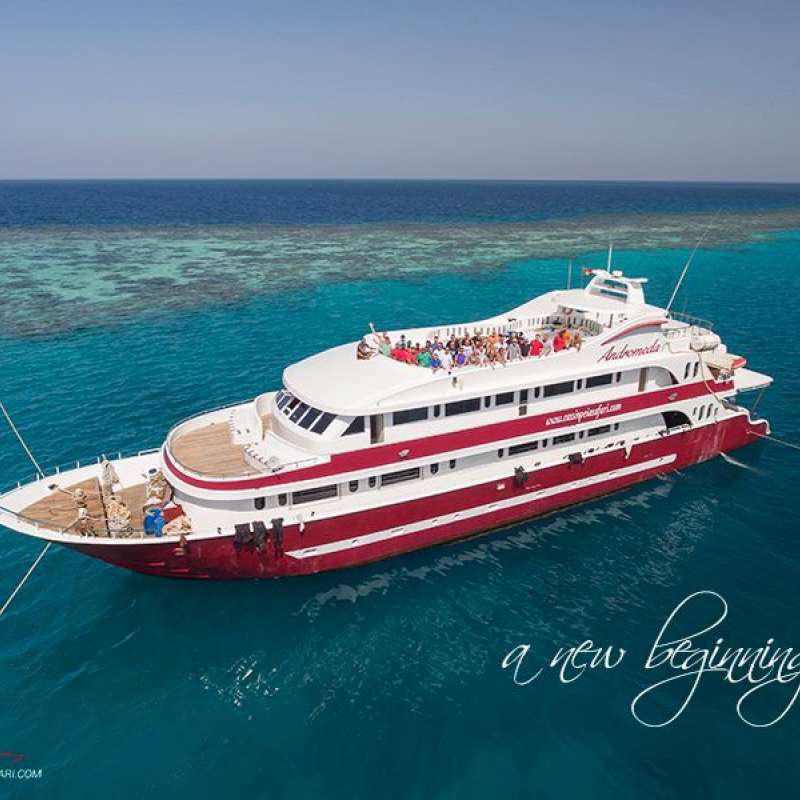 From September to the second week of November and from Middle of March will be possible to make in one week the itinerary until the reefs of Ras abu Shagara (Angarosh, Merlo and Abington Reefs). During september and october will be possible to see many mantas closed to Mesharifa Island (Manta’s point). From the end of February will be possible to make in one week the south itinerary where is possible to dive in Suakin's Archipelago. Start from Port Sudan to Shab Rumi, Sanganeb (light house) Jumna. In the following days will be possible to dive in: Pinnacle, Shab Quseir, Seil Ada kebir (turtle's island),Kery reef, every nights the boat will go back to shab Abambar as is the only safety place for spend the night in that area , all the others reef are too small. Wingate reef /Umbria wreck. Port Sudan. last day is possible to organize an excursion to the old Port (by bus). There is no doubt as to what the main attraction is here. Each and every year whale sharks cruise into Djibouti's waters, stopping off on their annual migrations. If you have not yet managed to see these formidable beauties - or just want to see them again - then our Djibouti Liveaboard is the trip for you. Day 1 : Arrival in Djibouti in the early morning, transfer to Elegante. Start of the cruise: check dive at MOUSHA ISLAND, second dive at FAON wreck, overnight at Mousha islands. Day 2 : First dive in RAS EIRO, snorkelling with whale sharks, second dive at ILE DU REQUINS, night dive and overnight in Ras Eiro. Day 3 : First dive at THE DOM, snorkelling with whale sharks, second dive at BAIE DES ETOILES, overnight at Baie des Etoiles. Day 4 : In the morning land excursion to Lac Assal with 4x4 jeeps, lunch on board and dive at the FOULT. Day 5 : First dive at SEC DE LA PASS, second dive at RAS CORALLI, snorkelling with whale sharks, overnight at Baie de l'Etoile. Periodo : Le crociere sono possibili tutto l'anno con l'alta stagione tra novembre e marzo, le rotte piu' meridionali vengono effettuate solo in primavera ed autunno. Visto : Qusi tutti i cittadini di altri paesi devono richiedere un visto prima di entrare in Sudan. Contattate l'ambasciata o consolato piu' vicino per maggiori informazioni. Clima : Il clima del Mar Rosso e' quello desertico della savana con inverni miti ed estati molto calde. Le temperature sono tra i 26 e 32 gradi in estate ed arrivano perfino a 43 gradi sulla costa del Mar Rosso. In inverno le temperature arrivano anche sotto i 20 gradi. Acqua : La temperatura dell'acqua cambia durante l'anno, in estate raggiunge i 27 gradi mentre in inverno arriva a 23 gradi. Abbigliamento : Vesti leggeri in estate e piu' pesanti nelle giornate piu' fredde in inverno. Voli : L'aeroporto di Khartoum (KRT) e' la porta principale per entrare in Sudan, ci sono anche alcuni voli internazionali che atterrano a Port Sudan. Valuta : La moneta locale e' il Sudanese Pound (SDG), portatevi solo contante in Sudan, preferibilmente US Dollar. Traveller cheque e carte di credito non sono accettate. Visa : All visitors to Djibouti are required to have a visa. Nationals of any country - except India, Syria and Yemen - can obtain a visa on arrival, valid for one month and granted on single entry basis. The cost is 90 USD. Tourist visa can also be obtained at the Consulate of Djibouti in your home country. However, if you need more information about visas, please contact the Sir Lanka embassy or consulate near you. Diving Period : Year-round, the best Whaleshark encounters are especially common from mid October to early February evey year. Visit from mid October‘s visibility is poor. Visibility during summer time is better, but there's less chance of seeing the whale sharks and weather is very hot. October to January is whale shark season. 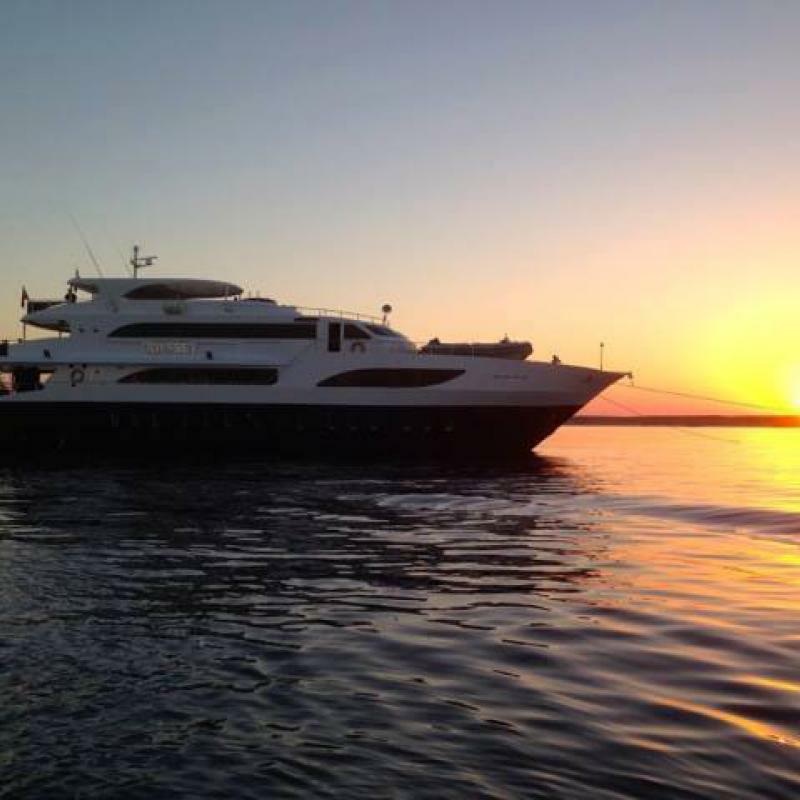 During February to October liveaboards visit other regions. Currents : Currents can be strong on the exposed dive sites, especially the 7 Brothers dive sites. Water Temperature : Averages 27 - 29°C throughout the year, 3mm wetsuit or rash guard or lycra suit recommended for diving. What to Expect : Whalesharks, dolphins, Grey and Nurse Sharks, Bat fish, eagle ray, and manta rays, reef fish, beautiful corals. Tiger and Blue Sharks have occasionally been seen. Getting there : Djibouti-Ambouli International Airport (JIB) is the main airport, connects Djibouti with Dubai, United Arab Emirates. It also has flights to Ethiopia, Eritrea, Somalia, Puntland, Somaliland, Tanzania, Egypt, Madagascar, Saudi Arabia, Oman and Yemen. Air France and Djibouti-based Daallo Airlines operates flights to Paris. Royal Evolution e' una barca sub lusso lunga 39 metri che offre crociere nel Mar Rosso, sia in Egitto che in Sudan, ha un equipaggio di 17 persone che si occupano dei suoi 24 clienti a bordo. Dolce Vita e' una barca da crociera lunga 36 metri che come ricorda il suo nome vi fara' passare dei piacevoli momenti in comfort e stile nei piu' bei reef del Mar Egiziano. 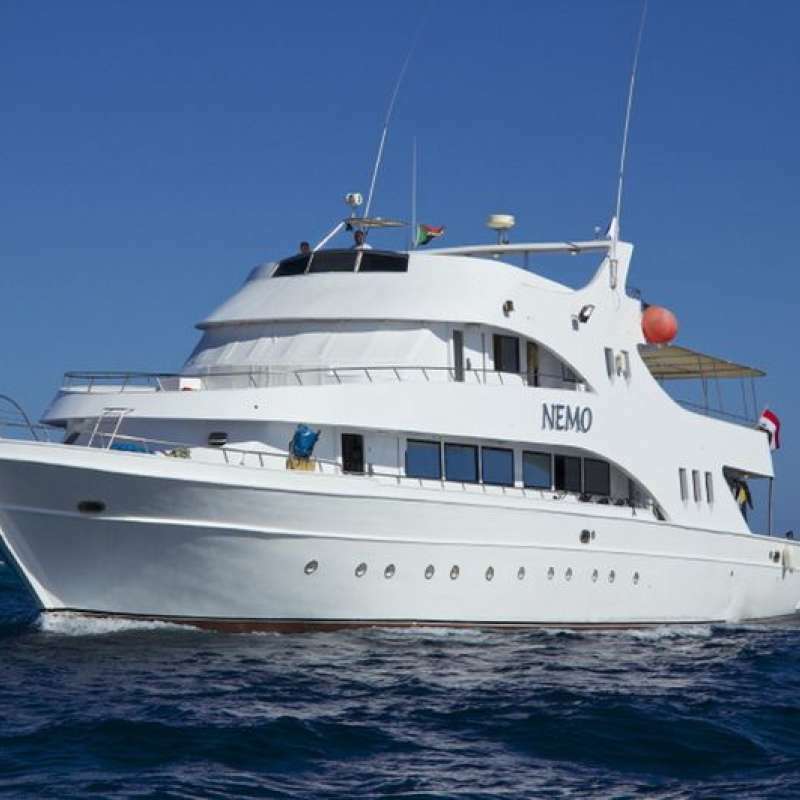 Nemo is a professional dive liveaboard runs by Dune Fleet, it provides divers various liveaboard routes in the Egyptian Red Sea area, it can accommodate a maximum of 22 guests.